Petite Spring Bud Vase by Petalena. Photo by Krista Photography. With the quieter months of winter (and negative zero temps in Boston today! ), it’s nice to have time to reflect on the design work we did over the past season. Today we’re sharing some beautiful photographs by Krista Photography of one of our spring weddings which is also currently featured in The Knot Boston Magazine’s “Real Weddings” section (page 68). We worked with our wonderful bride Sylvia on this color palette – creating soft lovely bouquets of blush, apricots, and ivories and saving up some deeper more dramatic punches of color for the reception. Pretty bouquets all in a row. Photo by Krista Photography. We just love this photo of our client in her beautiful gown, looking so happy! With bouquet. Photo by Krista Photography. Bouquet, detail. Photo by Krista Photography. 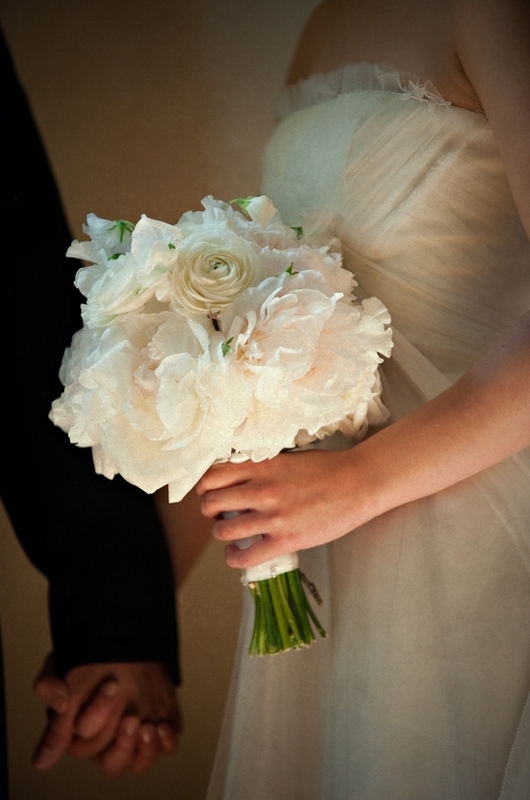 In this up-close photo of the bouquet you can see some of the specific flowers a bit more – pretty soft white ranunculas, lush full white and soft blush peonies, and a few tendrils of white sweet peas peeking out here and there. 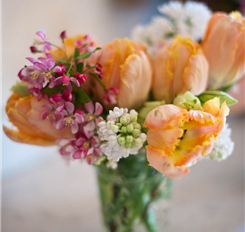 These really are some of our favorite flowers, so purely and exquisitely beautiful – even just one of these flowers in a little bud vase is perfection. Centerpieces waiting to go out to the tent. Photo by Krista Photography. Even though this wedding was in May, it was that unseasonably HOT day in Massachusetts where temperatures were something like almost 90 degrees? Crazy! 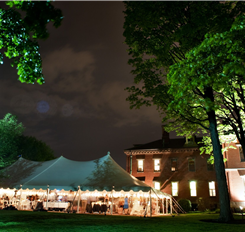 With the wedding taking place in the lovely tent at the Commander’s Mansion in Watertown, we kept everything cool inside until the last possible moment. Even though this was not where the flowers ended up, I still like this photo, they are almost like ladies-in-waiting, sitting on a beautiful old side board. Entry Arrangement at the Commander's Mansion. Photo by Krista Photography. Apryl and I were so pleased to see this nice photograph of the entry arrangement. While I have a somewhat snazzy camera for Petalena, I do have a tough time getting decently attractive photographs of bigger arrangements, I can make them, just not photograph them! Apryl found this vintage looking tall vase with a nice bronze-y patina and I put huge branches of dogwood and apple along with long stems of ivory lilac, apricot parrot tulips and coral peonies. 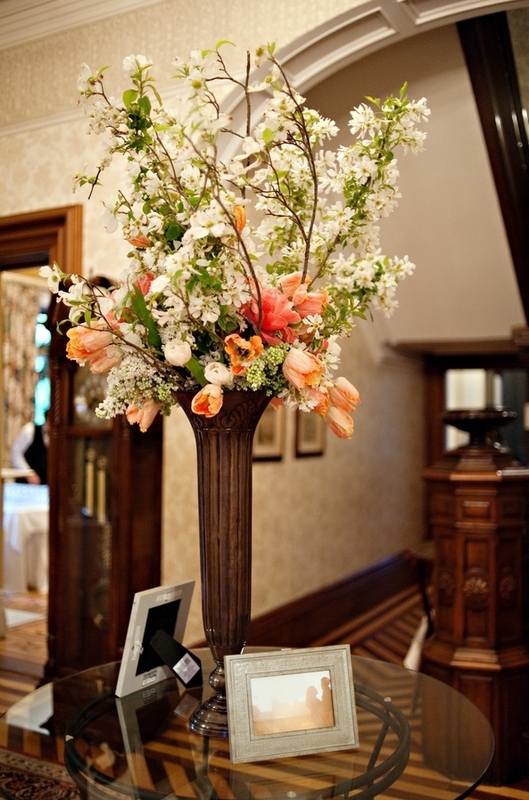 Centerpiece at the Commander's Mansion. Photo by Krista Photography. Peony gorgeousness. Photo by Krista Photography. 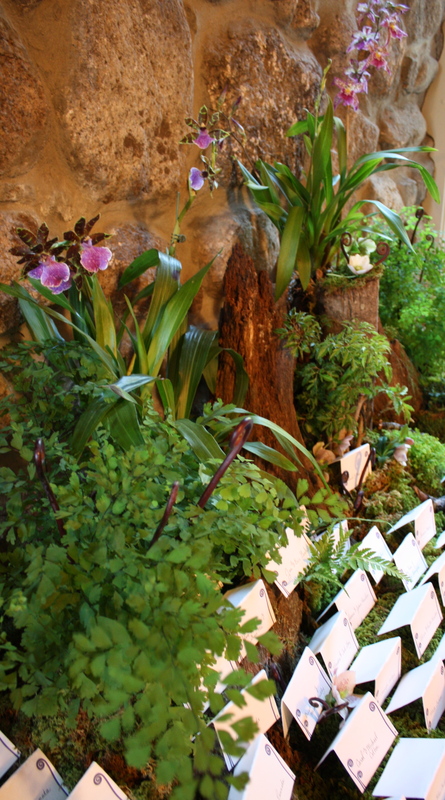 The two photos above are table-view and then up-close detail of the arrangements by day. Below, the arrangements by night. Such a different feel. I can’t decide which look I like best, probably the evening though since there is nothing more beautifully flattering to people and flowers like candlelight! 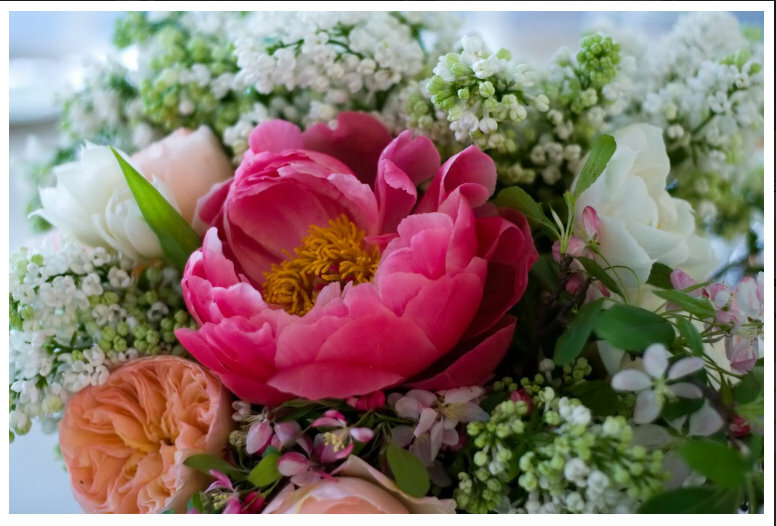 And that coral peony, well, it’s just perfection. Centerpiece by candlelight. Photo by Krista Photography. 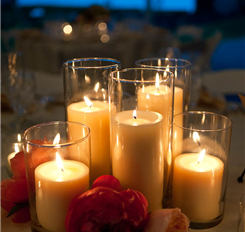 Candle centerpieces aglow. Photo by Krista Photography. 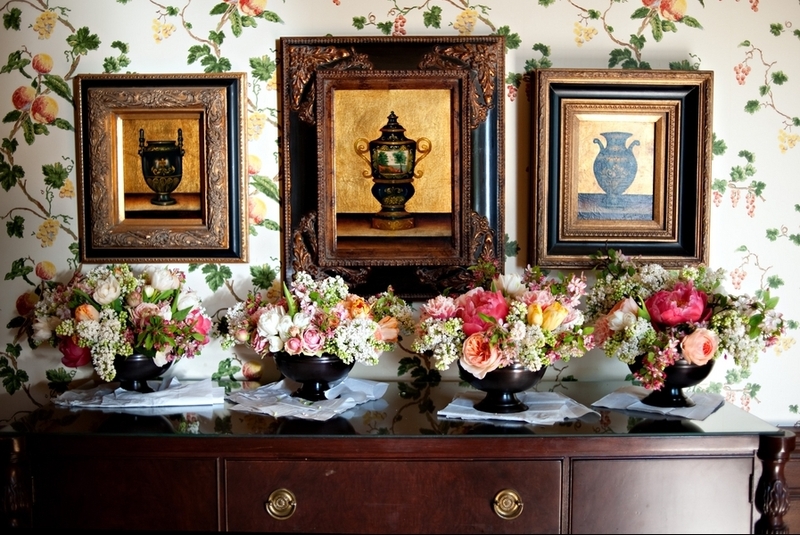 The centerpiece designs featured two styles, seen above and at left. We scored lots of pretty crab apple branches at the flower market and incorporated those with white lilac, some spirea, fringe-y white tulips, apricot parrot tulips, and Juliet garden roses, and hot coral peonies.Half of the table designs were a collection of pillar candles with the garden roses and peonies tucked in along the base for a romantic look. We of course love the pretty details. 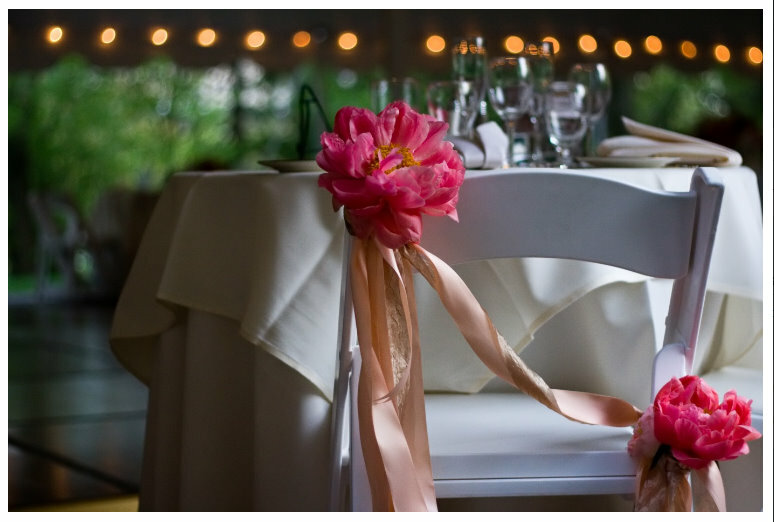 While we know it might feel like unneeded luxury to add something like flower and ribbons to the chairs for the bride and groom, we do think those special touches really make a difference in an event feeling unique. View of the tent at the Commander’s Mansion. Photo by Krista Photography. Jennifer Cox of Esq. Events, the event planner for the wedding, said it best, “Many weddings have elaborate themes but this wedding proves that sometimes all it takes is a beautiful color palette to create a beautiful wedding.” She wrote a lovely little piece about the details behind this wedding in the Prepare to Wed newsletter. 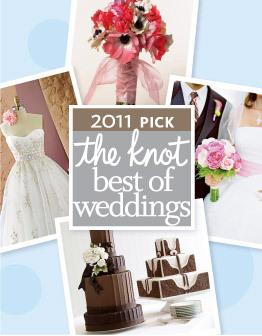 Happy day, Petalena received Best of the Knot for 2011! Thank you to all of our wonderful clients from 2010 who we worked with and made pretty things for! We wanted to share a few pics from our fall wedding featured in the last two blog posts but this time of the place card arrangement we did. Completely unconventional and very much with the look of bringing the outside in. 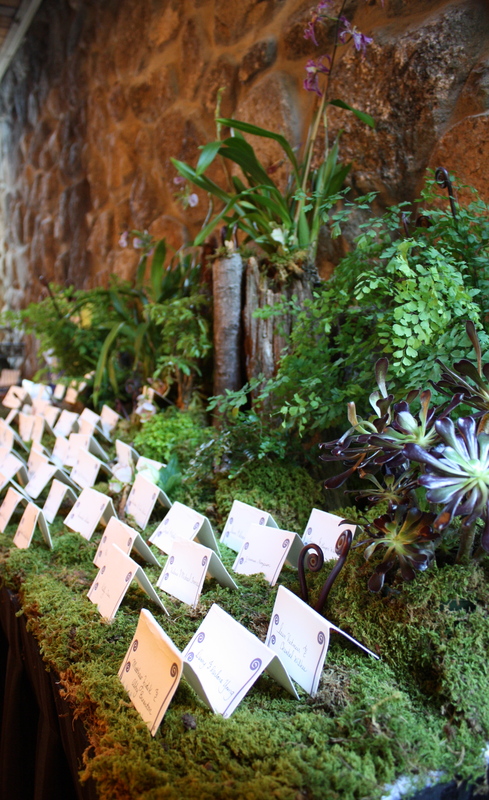 Live orchids, ferns, and plants designed with moss and barks we hunted for during the summer. Woodland Placecard Design. Petalena, 2010. We absolutely love doing these kind of designs, they feel more like wild art installations than anything else. So much fun to create, lucky, lucky us. Another view of Woodland Placecard Installation. Petalena, 2010. What we like about these designs too is that virtually all of the material can be saved and turned into potted containers by our clients or the venue. 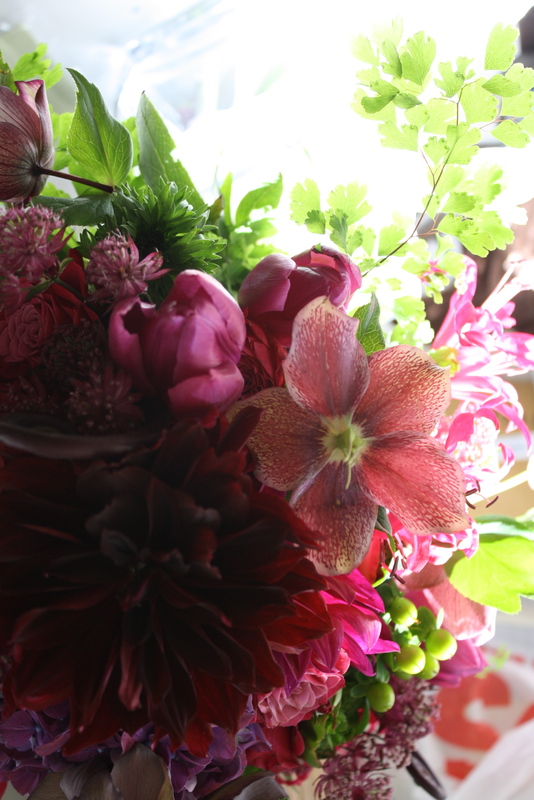 Bouquet detail - dahlias and hellebore. Petalena, 2010. 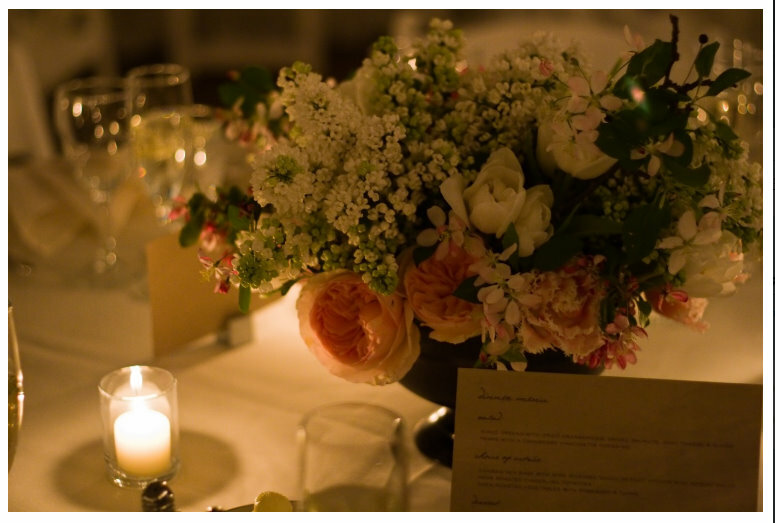 Just a few lovely photos by Ciras Photography from a wedding we did in October with a great couple who wanted elegantly organic wedding flowers at the Warren Center in Massachusetts. 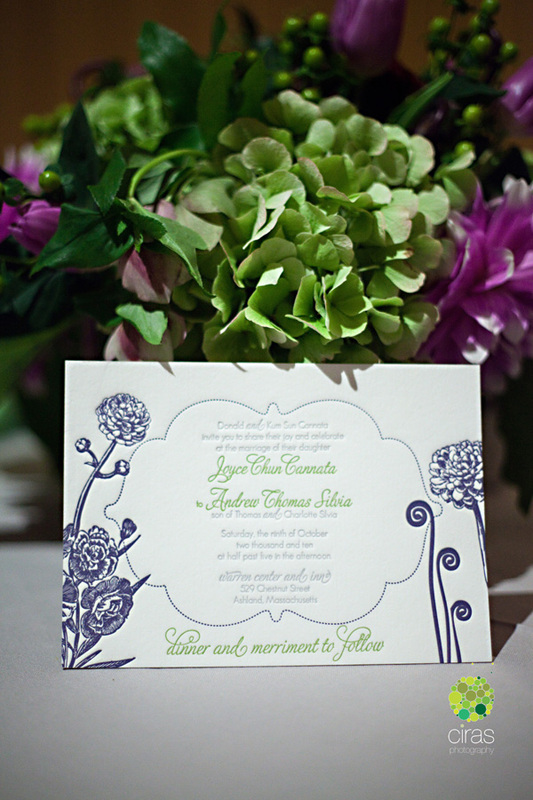 With a color palette of purples, green, and silver – we were able to pull in a lot of gorgeous purple blooms and green foliage to create the design. 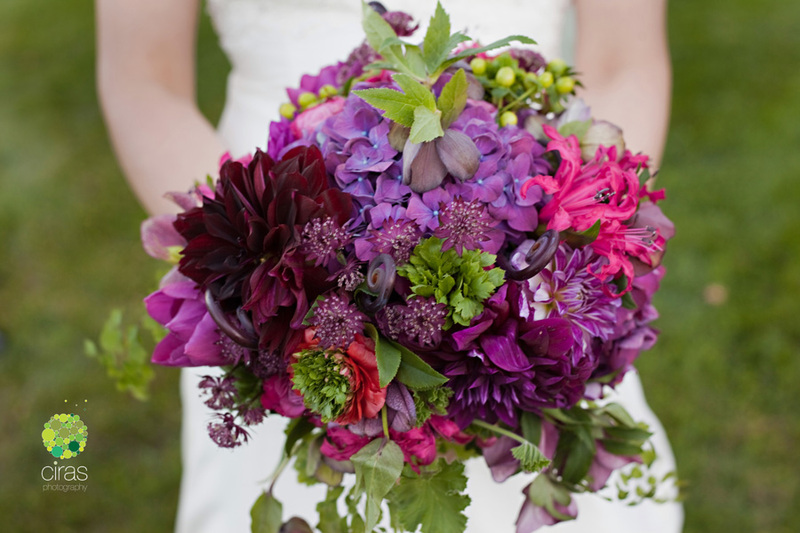 Bouquets of burgundy, pinks, and purples. Photo by Ciras Photography. 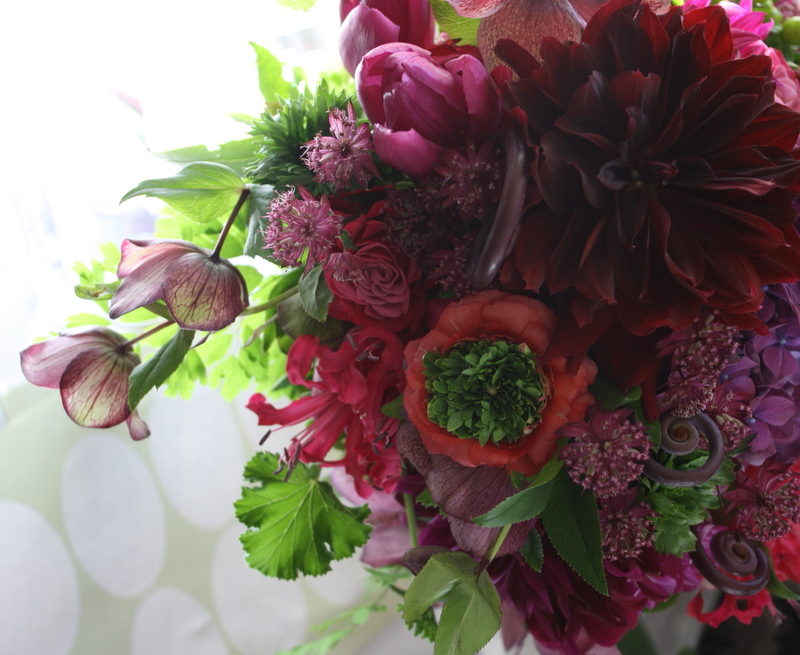 Our bride’s bouquet was lovely affair with large purple dahlias and hydrangea for the big flower forms, and lovely French ranunculus with fantastic green tufts at their centers. Hellebore, a favorite bloom of ours, comes back into season in the fall and we love using it for it’s pretty arching shape that lends a looser or natural look to a bouquet. Purple-pink astrantia is another very petite and unique bloom, reminds me a bit of allium, with its slightly spiky and sculptural look that is great for texture. Groom's Boutonniere. Photo by Ciras Photography. 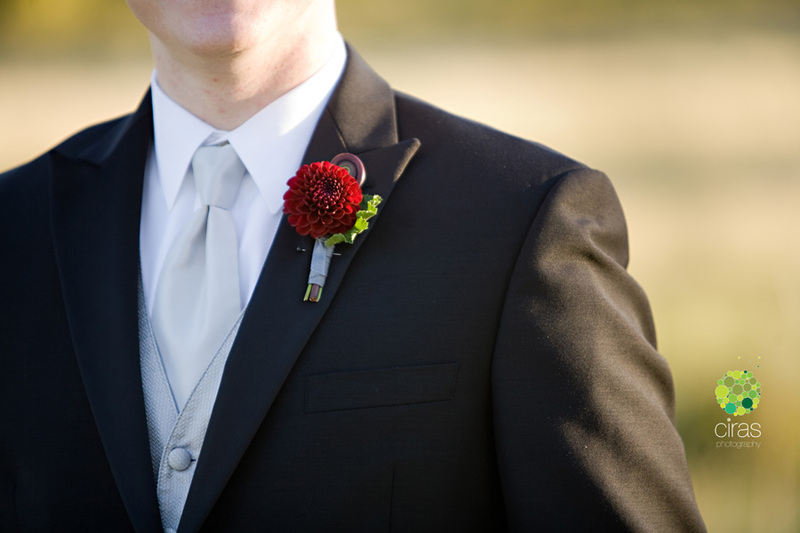 A boutonniere for the groom (above) was just a perfect little pom-pom style dahlia paired scented geranium foliage and a fiddlehead. Bridesmaid and Bouquets. Photography by Ciras Photography. Bouquets for the bridesmaids were smaller scale than the brides with a bit less of the deep pink touches, and bit more of the purples. 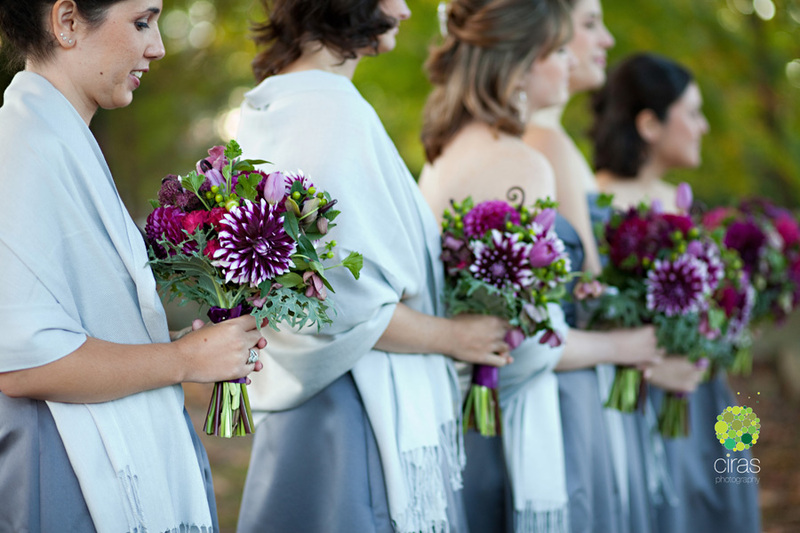 The tonal purple bouquets against the deep pewter color of the dresses was striking and dramatic. 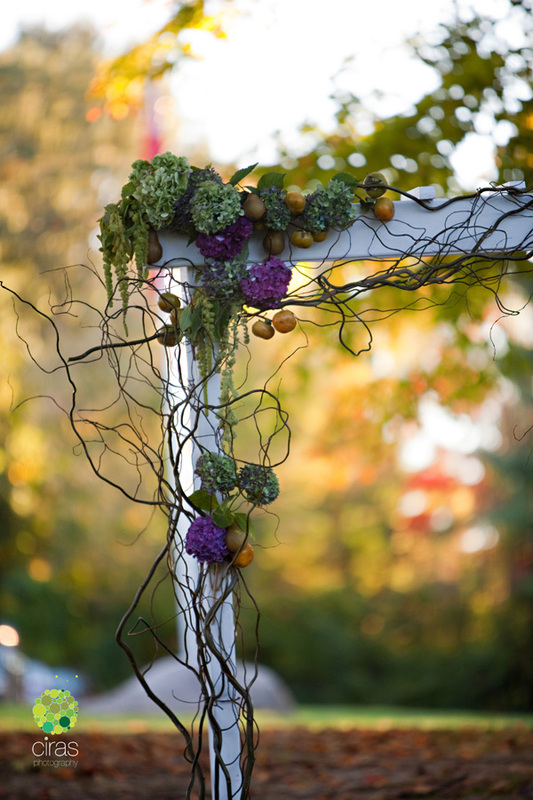 For the ceremony, we dressed up a white garden trellis with pears, persimmons, amaranthus, and hydrangea in tonal purple, ochre, and green hues. Ceremony Arch. Photo by Ciras Photography. The reception, inside the Warren Center, was festive and colorful with napkins in purple and green, gorgeous table numbers, and our flowers too. Table Flowers and Card. Photo by Ciras Photography. 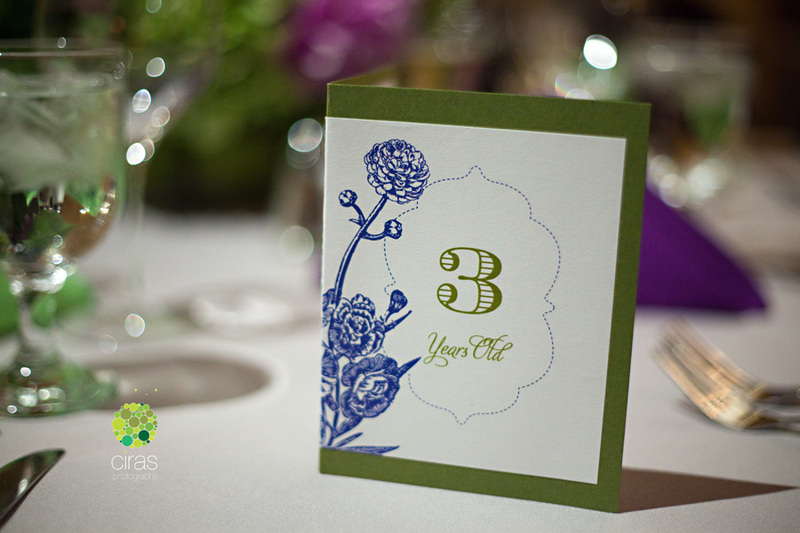 Table numbers. Photography by Ciras Photography. Our heartfelt thanks to Joyce and Andrew for having us help create such a special day for them, congratulations! 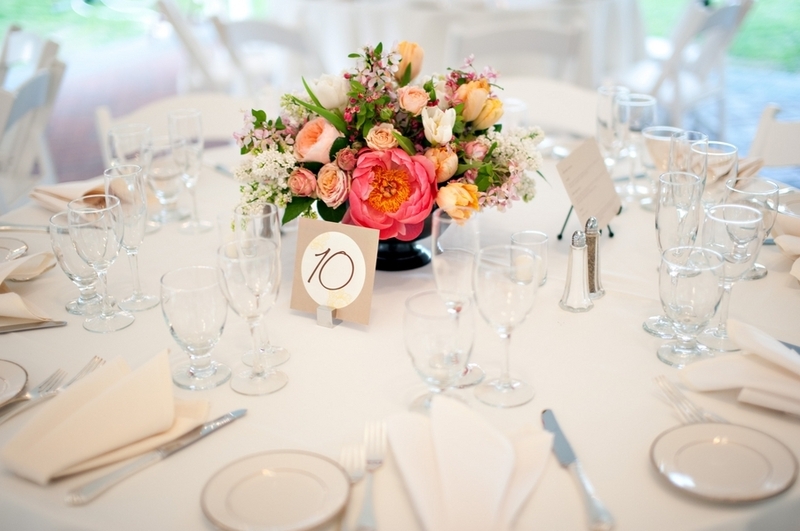 Thanks to Ciras Photography for sharing all their wonderful photos with us!